SENASA Registry : SENASA Perú:A.16.15.I.0279. 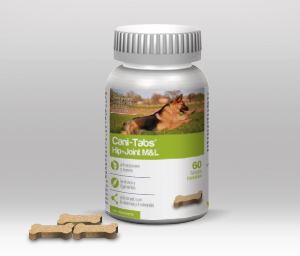 Glucosamine HCl 631 mg, Chondroitin sulfate 200 mg, Methyl Sulfonyl Methane (MSM) 200 mg, Vit. A 500 UI, Vit. D3 50 UI, Vit. E 1 UI, Vit. B1 0.41 mg, Vit. B2 0.50 mg, Vit. B6 0.05 mg, Vit. B12 30 mcg, Nicotinamide 5 mg, Calcium 42 mg, Phosphorus 32 mg, Potassium 1.65 mg, Chloride 1.50 mg, Magnesium 2 mg, Iron 1.50 mg, Copper 0.05 mg, Manganese 0.13 mg, Zinc 0.50 mg, excipients c.s.p. 1 tablet. 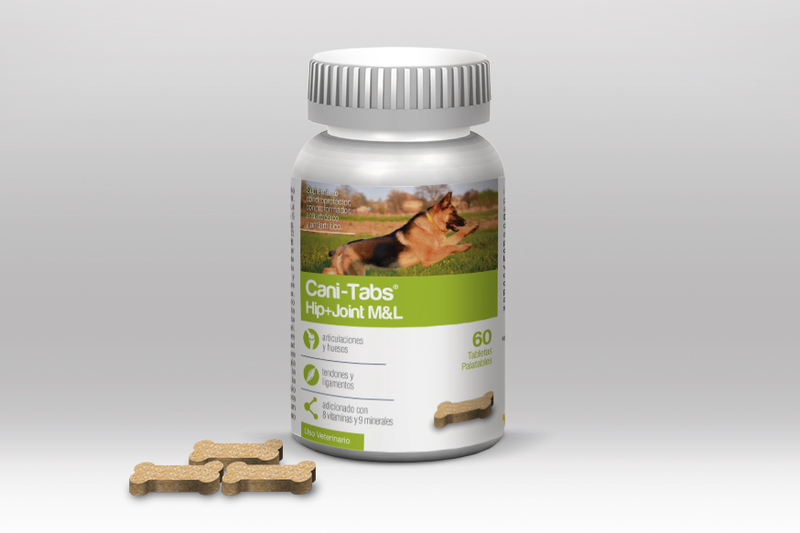 Treat, improve and prevent problems of movement, regeneration of cartilage, ligaments, bone loss, diseases like arthritis and osteoarthritis. It contains a mixture of vitamins and minerals that help and reinforce biological processes of prevention and regeneration of the skeletal system. It is recommended to administer daily during 30 days: 1/2 tablet/5 kg of body weight; 1 tablet/10 kg of body weight. The dose and treatment period may change according to the discretion of the veterinary physician. It can be administered directly before meals due to its good palatability, or grinding the tablets and mixing them with food.